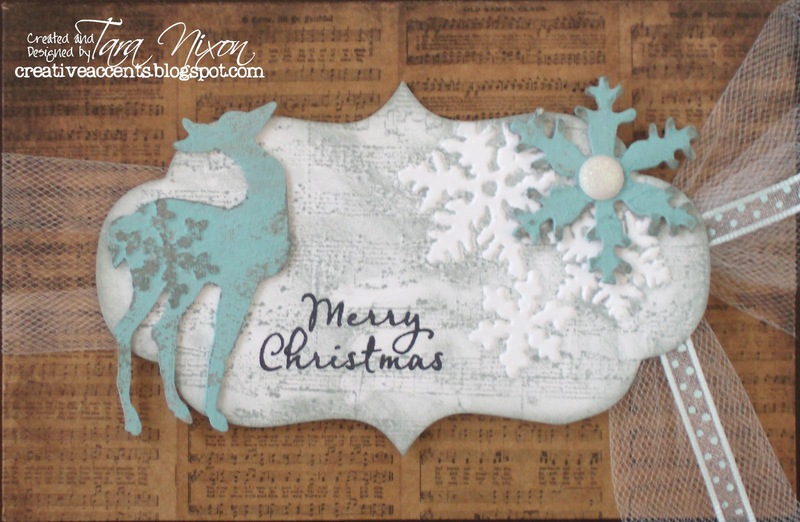 this first card uses an on the edge die from Tim Holtz, cut from grungeboard and painted with acrylic paint. 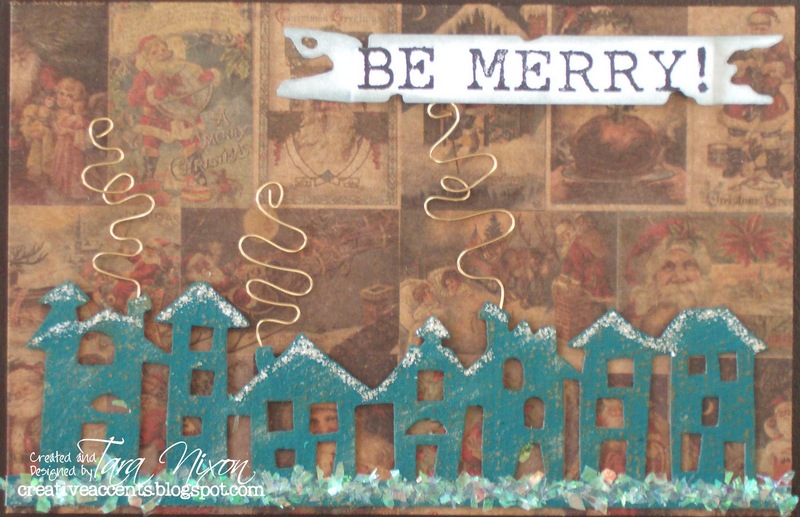 I distressed by sanding and added some glittery snow. 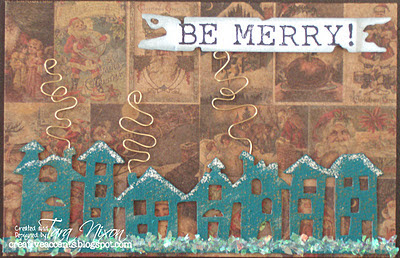 The 'smoke' was bent from wire and the sentiment (Hero Arts) is stamped on a tattered banner (also from Tim Holtz). ... and the second card uses embossing techniques- embossing grungeboard (the deer) and stamping in an embossing folder. Pretty simple card, but I love how it turned out. Adding the wire smoke is awesome! So pretty! So cool Tara!! I like the smoke idea too. Very creative! I'm falling in love with Tim all over again, and these cards show why! Great job, love 'em!